Reconstruction of a European cave bear (Ursus spelaeus) . An example of a Gravettian Venus figurine . The Gravettian may be the last unified European culture. It is believed that shared symbolic behaviours and subsistence strategies may have linked people living in vastly different environments . The population was sparse due to the harsh conditions of the last glacial maximum . 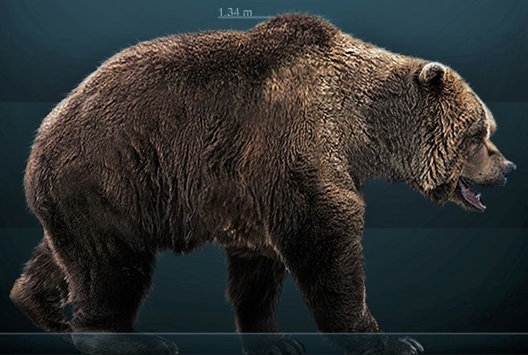 It is believed that the Gravettian Europeans may have hunted cave bears (as well as the previously hunted brown bears), and possibly contributed to their extinction . Some evidence suggests that the Gravettian peoples had feasts. Evidence of skinning, dismemebering and filleting for herbivores (reindeer, woolly mammoth, horse), carnivores (fox, wolf, wolverine, bears, cave lion), and small animals (hares and birds) is present at Gravettian sites. As all skeletal parts for each of these animals have been found, it is believed the hunters transported whole bodies of animals to the sites . 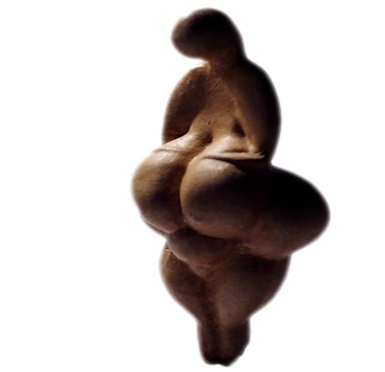 The Gravette peoples are well-known for their Venus figurines. These small models have exceptional detail, and garments such as skirts, headgear and body bandeaux, made of plants. It is believed that these models were associated with women, power, prestige and value . The individuals in this sample were found at two sites in present-day Italy. Two individuals were found at a site in the west side of the city of Ostuni. The other two individuals were found at the site of Grotta Paglicci, ten kilometers (six miles) southeast of the town of Rignano Garganico, in the province of Foggia. The individuals were carbon dated to between 29,070 and 36,580 years old . The individuals found in Ostuni were found in a cave in a limestone formation. The cave was occupied for tens of thousands of years, from the Middle Palaeolithic until modern times . One of the individuals was a pregnant female of around twenty years old, about to give birth . This is believed to be the oldest ever reported burial of a pregnant female. The other individual was also female. Both individuals had ornaments made of perforated snail shelf of the sea snail Cyclope neritea around their heads, which was typical of Gravettian graves . The other site, Grotta Paglicci, is also a cave. This site is known for the presence of the only Italian Palaeolithic wall paintings  and the oldest known evidence for flour production . 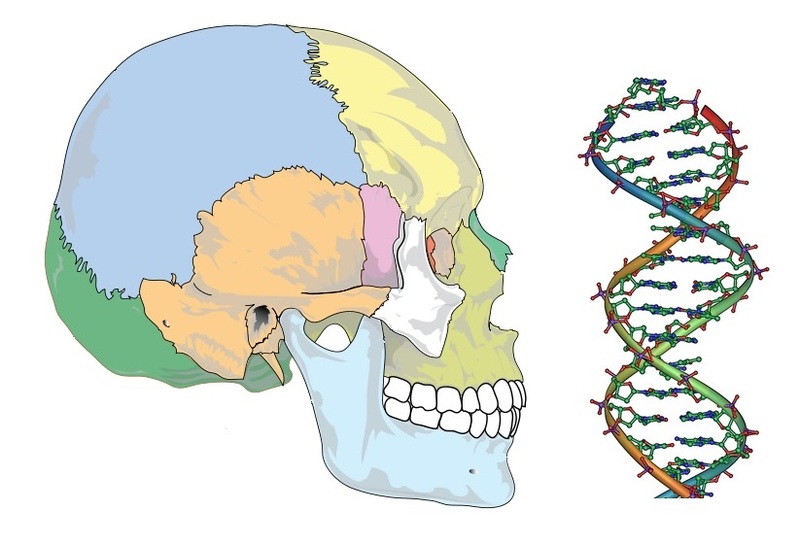 Genetic analysis of these individuals demonstrated that the proportion of Neanderthal DNA in Eurasians’ genome has decreased over the last 40,000 years, to about two percent today. This is likely due to natural selection against Neanderthal traits. The individuals in this sample appear not to have contributed at all to the genomes of modern Europeans, but instead are derived from a single population which also gave rise to modern Europeans after reappearing in southwest Europe around 19,000 years ago . Three of the individuals in this sample belonged to the mitochondrial haplogroup U, which was the most common haplogroup among European hunter-gatherers of the Paleolithic and still exists in Europe today although at lower frequencies due to the genetic contribution of incoming European farmers . The final individual belonged to the mitochondrial haplogroup M, which is related to N (which appeared in Africa in the Paleolithic ) and has deep Paleolithic origins. It is found in Asia today, but is mostly absent in Europe [17,22]. The only male in this sample belonged to the Y-chromosomal haplogroup I, which is found today in Europe and West Asia, particularly towards caucuses. It likely originated in the European Paleolithic .